I don’t want you to think that I’ve been ignoring you. I just can’t believe how busy my life has been since we’ve moved to Maine. Mother Nature has been working double overtime to make everything around us green and blooming. The pollen has been like snow at times but it is beautiful when the wild flowers start to bloom in the woods. I saw some lilies of the valley on my walk a few days ago and our yellow iris down by the rocks at the edge of the lake are blooming profusely. We have been to bed early and up early and have seen some beautiful sunrises. We are reminded with each one how lucky we are to live in such a beautiful place. Even when it’s really, really early! All three dogs are adjusting to living in the little guest cabin and to the noise that is our home-building destruction and construction life. Little Boq has had some wicked hot spots but we seem to have them under control again. The little dogs have been to a new groomer and will feel so much better now that they’re groomed and bathed. 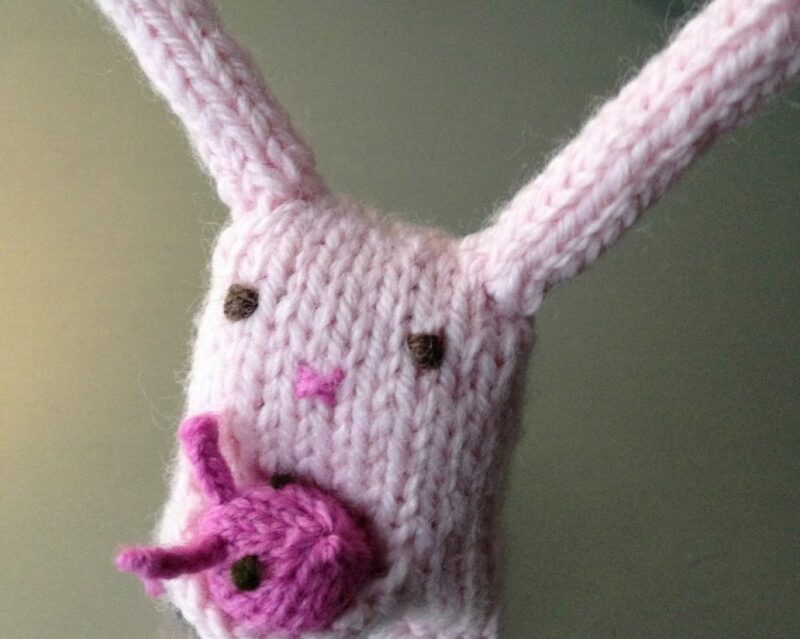 I have been knitting a little. I’ve managed to finish the little pink zebra footie socks for my mentee in South Florida. She is turning 14! Yikes. I am hoping they fit and I have another whole ball of the same yarn to make one more pair to her specifications. She loves pink and zebra stripes, I thought the yarn was perfect! I have chosen the third pattern for my Seacolors Yarn sweater and I think I am going to like this one much better. The pattern I am knitting is called Driftwood by Isabell Kraemer. I will not be making stripes but rather blocks of color. I’ve started with the peachy-orange shade and then will change to the green for the bottom of the body. I’ll see what I have left over for the sleeves. I’ll use the blue yarn for the edging and probably most of one of the sleeves. I’ll keep you posted! I wore my cotton tunic to work yesterday. I love the color and the cotton yarn is perfect over a t-shirt or blouse. BUT I have always thought the straps were a bit too long. So, this morning I’m pulling the straps apart and shortening them. I would like to be able to wear it without a shirt under it if I want … when I’m done, I’ll be able to. I got quite a few compliments on it and that always feels good! I feel so blessed and grateful to be able to live here on our beautiful lake in Maine. It’s really a dream come true. The love of my life and I are building our home and all is right with the world. This entry was posted in Knitting, Yarns & Patterns and tagged beautiful world, blessed, dish cloth, Driftwood, Grandmother's Favorite, gratitude, Isabell Kraemer, knit, knitting, low socks, Maine, Messalonskee, Mother Nature, pink zebra stripes, Queen Bee Knits, Regia, sea colors, Sea Colors Yarn, sock knitting, socks, sweater by lindarockwell3. Bookmark the permalink.